Aramid fibers are high strength fibers that are better known for their use in bullet- and fire-resistant clothing. High strength, high elastic modulus, and high abrasion resistance make these fibers well suited for fiber reinforced polymer (FRP) reinforcement and strengthening applications. 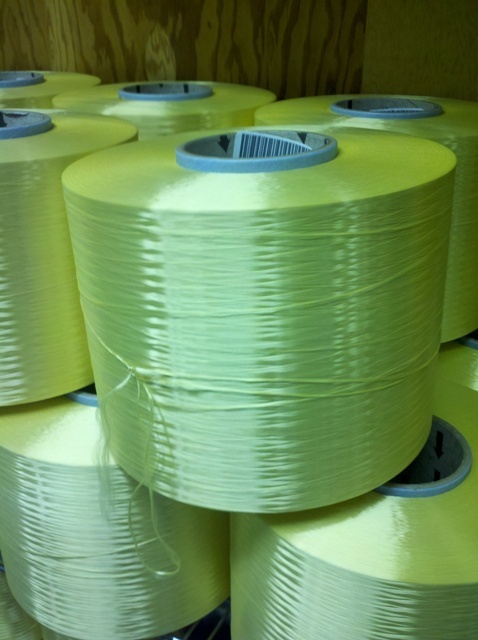 Aramid is a synthetic fiber made from the polymer aromatic polyamide. It was first introduced in the 1960s as a meta-aramid and later as para-aramid. The terms meta- and para- refer to the location of chemical bonds in the aramid. The chemical bonds of a para-aramid are aligned in the long direction of the fiber. Meta-aramid bonds are not aligned but are rather in a zigzag pattern and therefore will not develop the higher tensile strength of para-aramid bonds. Fibers made from meta-aramid have excellent thermal, chemical and radiation resistance and are to make flame retardant textiles such as outerwear for fire fighters and racing car drivers. Nomex® and Teijinconex® are examples of meta-aramids. Meta-aramid has a low compressive strength and absorb and dissipate energy perpendicular to the fiber direction making it the preferred fiber used in bullet-proof vests and other ballistic resistant, personnel armor. Higher strength para-aramid filaments are those more commonly used in fiber reinforced plastics for civil engineering structures, stress-skin panel, and other high tensile strength applications. Kevlar® and Technora® are examples of para-aramid filaments. An advantage of these fibers is that they are flexible and highly abrasion resistant making them an ideal choice for high strength braids and ropes. 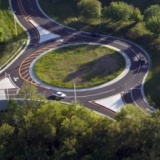 For anchoring FRPs to structures, these fibers are an excellent choice due to their ability to form around small radii. Properties vary by manufacturer processes and chemical composition. Below is a table of mechanical properties of a few of the most popular para-aramid products. Source: Kevlar® Technical Guide obtained from DuPont Kevlar website (opens in new tab), MatWeb Material Property Database (opens in new tab) and SAMPE Journal, Vol. 45, No. 6, Nov/Dec 2009. Aramids are rapidly degraded by ultraviolet (UV) light and therefore must be coated or painted. These fibers also absorb moisture. Strength and stiffness decreases with water contact or in high humidity environments. 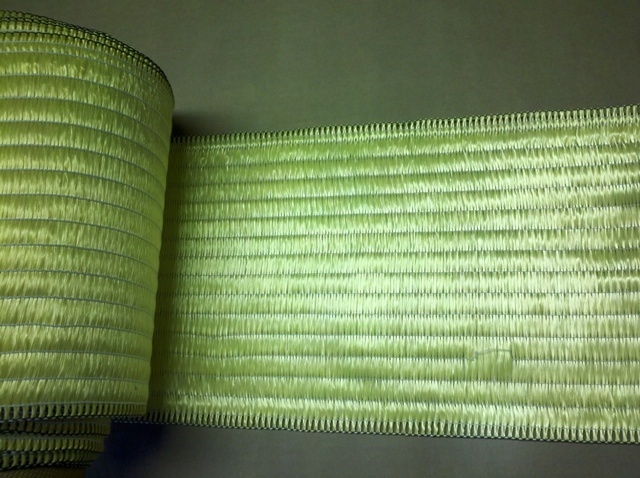 Thoroughly impregnating the fibers in an epoxy or vinyl ester matrix will normally protect them from moisture infusion. Kevlar® and Nomex® are registered trademarks of E.I. du Pont de Nemours and Company. Teijinconex® and Technora® are registered trademarks of Teijin Limited.